I would have expected to find a bee buzzing around this pretty clover; even a butterfly, beetle, or fly would have seemed reasonable. But the grasshopper surprised me, particularly since his flowery, less than two-inch long perch emphasized the creature’s own small size. For all his wonderful complexity, the tiny creature was the smallest grasshopper I’d ever seen. Even as I admired the grasshopper, I found myself intrigued by the plant on which I’d found him. The low-growing, long-stemmed clusters of flowers fanning out across the dunes of a Brazoria County beach reminded me of the plant known as frogfruit, despite some obvious differences. Eventually, thanks to a website known as the Gulf Coast Vascular Plant Gallery, I found the flower. 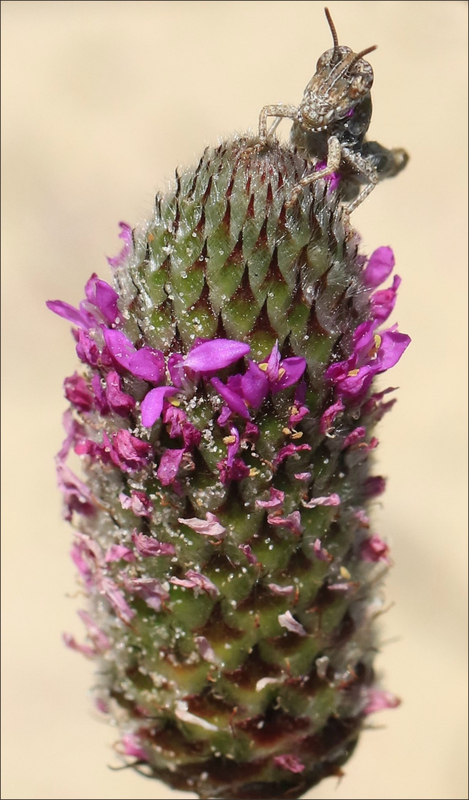 Exploring further, I learned this native thrives primarily along Gulf beaches and coastal dune grasslands in Texas. In Louisiana, where its presence has been limited to the area between Holly Beach and Johnson’s Bayou in Cameron Parish, it’s considered rare. Even here in Texas it seems to be uncommon, or at least little-reported. In yet another first, I found no photos of the plant on the Lady Bird Johnson Wildflower Center site. 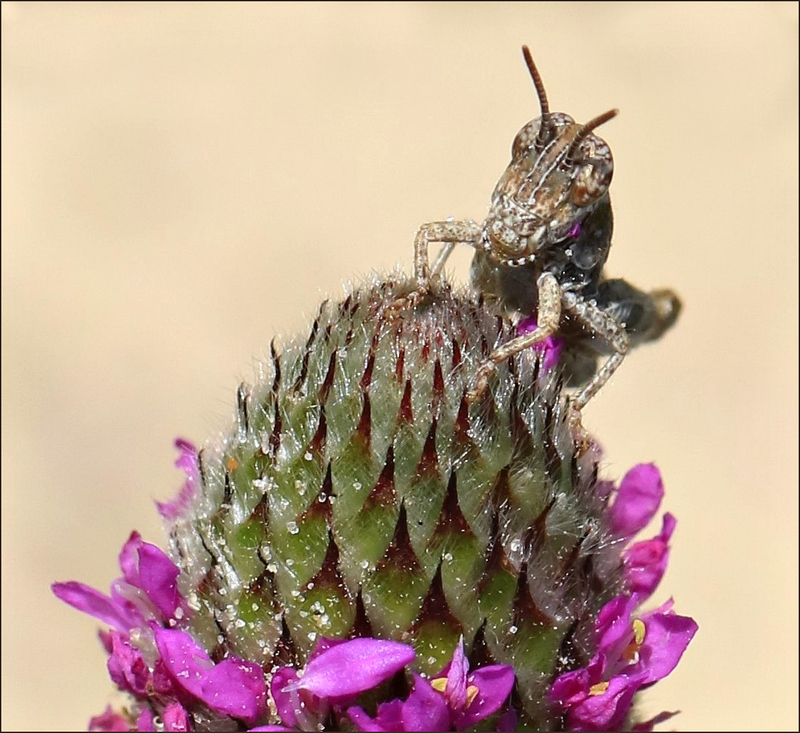 A few reports have been recorded at iNaturalist, but even there not a single wedgeleaf prairie clover appears with a grasshopper as a companion. While vineyard owners worry and fuss, the wild grapes (Vitis spp.) twisted around old sheds and roadside fences begin their yearly cycle without assistance. By early summer, their full-grown leaves will hide everything from windmill supports to trees. By late summer, their fruit — beloved of so many birds and other creatures — will have been simmered into jelly or crushed into wine for human consumption after the leaves have gone. The first sign of renewed growth, commonly known as bud break, is marvelous to behold. 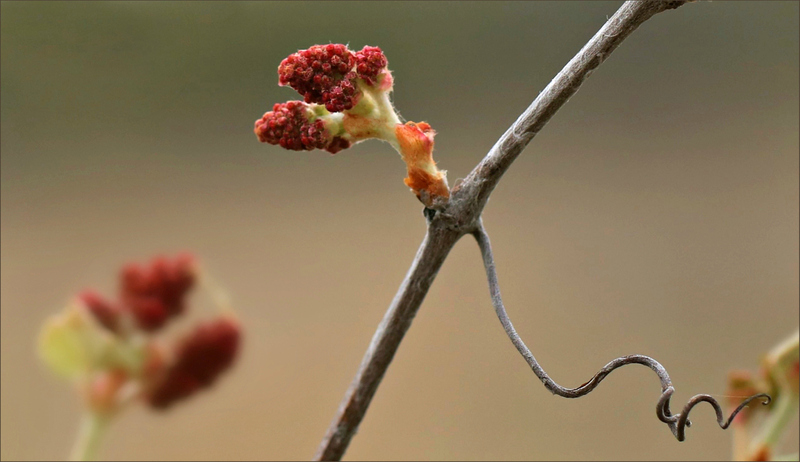 While not as obvious as spunky dandelions or vast fields of bluebonnets, the tiny buds emerging from their vine are equally delightful. 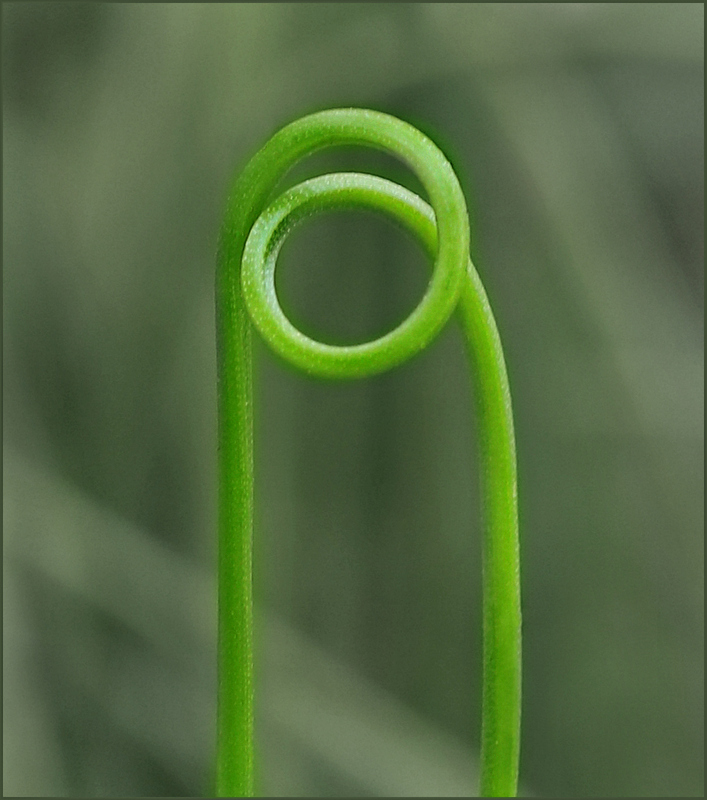 Though deprived of a supportive branch or twig, this tiny tendril remained true to its nature: rising up from the midst of more ordinary grasses, curling around itself, and then returning to the ground.